A month or so ago I was setting up an automated build and deployment using TFS 2013. I set my build up to run my unit tests, and to consider the build a failure if they didn't pass. If the build fails (either due to compilation failure or unit test failure), the deployment step shouldn't take place. The application in question uses Angular.js and I've written a good number of unit tests to test my Angular controllers, services, etc. For these tests, I used Jasmine (instead of Karma, which is the most often recommended test framework for Angular -- long story). In Visual Studio, I make use of the awesome Chutzpah extension to allow my Jasmine unit tests to be integrated into the Test Explorer right-click context menu just like my MSTest unit tests of .NET code. Using Microsoft's Unity IoC container, you can register types by convention rather than having to explicitly register each interface to a concrete class. The convention is that interfaces beginning with "I" will map to concrete classes with the same name, minus the "I" (for example, interface IMyClass would map to concrete class MyClass). I only recently learned this, after watching a Pluralsight course that showed how to do the same thing using StructureMap. I'd used StructureMap a few years ago, but was unaware of this feature at the time, and am not sure if it existed then or not. The example shown below will register types by convention (for example, uses of interface IMyClass yield concrete types of MyClass). When Apple released iOS 7 last fall, Windows Authentication no longer worked when using Safari. And even though they've released a few updates to the operating system since then, Windows Authentication is still broken when using Safari (Chrome on iOS was unaffected and has been working fine in iOS 7). This seems to just affect requests made from client-script, as making a request to a website that uses Windows Authentication still prompts you for your credentials and works fine for any non-AJAX requests. Here are two lines from an IIS log showing the same request. The first is from a Safari on iPad and was unsuccessful, the second is from Chrome on iPad and worked fine. Notice the 401 response on the unsuccessful request, due to the missing username (which is visible in the 2ndrequest). The IP address has been obfuscated for these examples. 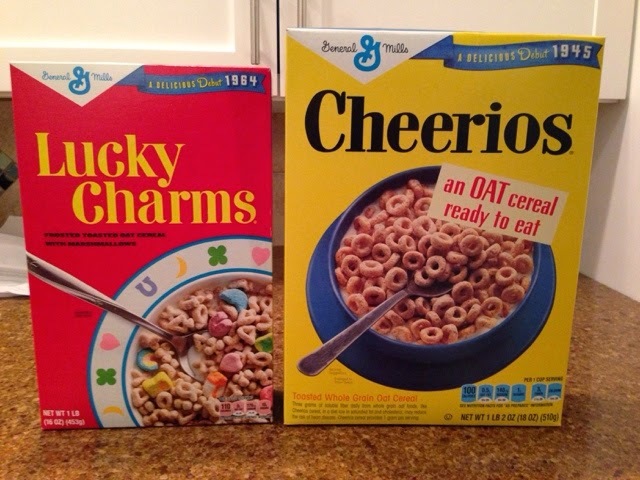 I hadn't been born when either of these breakfast cereals debuted, yet I still get a kick out of the recent retro packaging for these two. See the problem? It's that "new WidgetFactory()" statement. The real class in question didn't implement an interface, so, like a dummy, I set it up to be injected by Unity as shown above. I've been working a lot with Angular.js lately, and there were a lot of unknowns for me when it came to unit testing my code. Below is an example that I hope will help other people who have questions about how to write unit tests for Angular. I use Jasmine as the unit testing framework, and in the example below I'm testing controller named DocumentController which makes use of a service called AttachmentService. In the example below, we're testing the ability of the DocmentController to delete attachments, which it does with the help of AttachmentService. //References to the JS files that are required by these tests and everything involved.